Imagine living in the heart of Snowdonia; you’re a mile from the nearest road, collecting water from a babbling brook and the only sound to be heard is that of the birds tweeting in the woods beyond. Such a remote location coupled with the inky-black darkness of night provides the perfect setting for stargazing. So perfect, in fact, that it is protected with a Dark Sky Reserve status. Perched on a hillside looking down to the valley floor, you will find Coed y Bleiddiau, a charming little cottage with views across the estuary towards Harlech Castle. A place where the air from the Atlantic Ocean is so clean and fresh that some of the rarest and most unusual lichens grow nearby. In Welsh, Coed y Bleiddiau, translates to “Wood of the Wolves” and the cottage was home to Bob and Barbara Johnson for more than 40 years. For over 150 years the cottage has been standing in this remote location. A small place at first, it was originally built for a railway worker but, as his family grew, he extended it using heavy stones from the nearby railway line. During the Second World War, the secluded location was rumoured to be a hideout for spies – including the infamous Lord Haw-Haw – adding to the site’s overall mystery and atmosphere. It truly is a stunning location and a place of wonderful tranquillity. 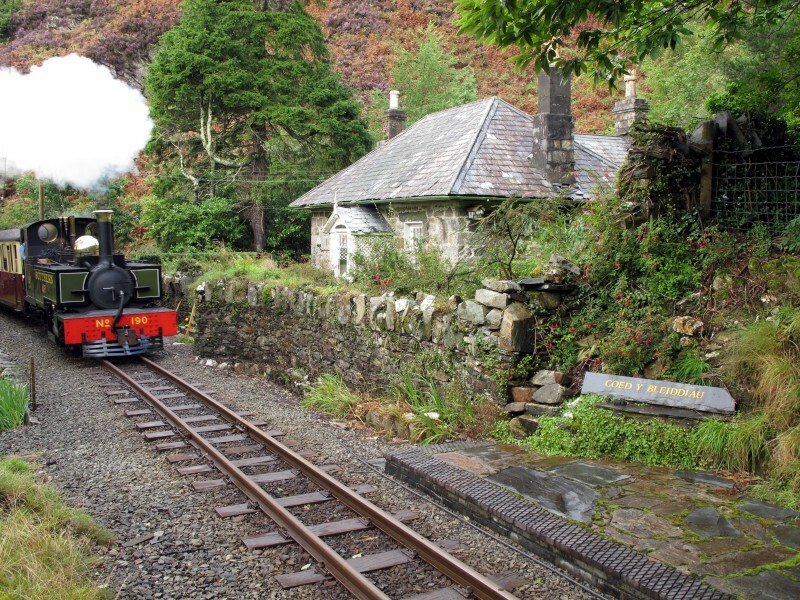 Nowadays, the only sound to interrupt the birds’ song is an occasional rumble as the quaint narrow gauge steam trains pass along the Ffestiniog & Welsh Highland Railways. Ten years ago, Bob and Barbara Johnson passed away and, unfortunately, the railway company could not afford to attend to the building’s ancient fabric. As such, the cottage fell into a state of disrepair and the elements took their toll, with the rain eventually finding access through the roof. 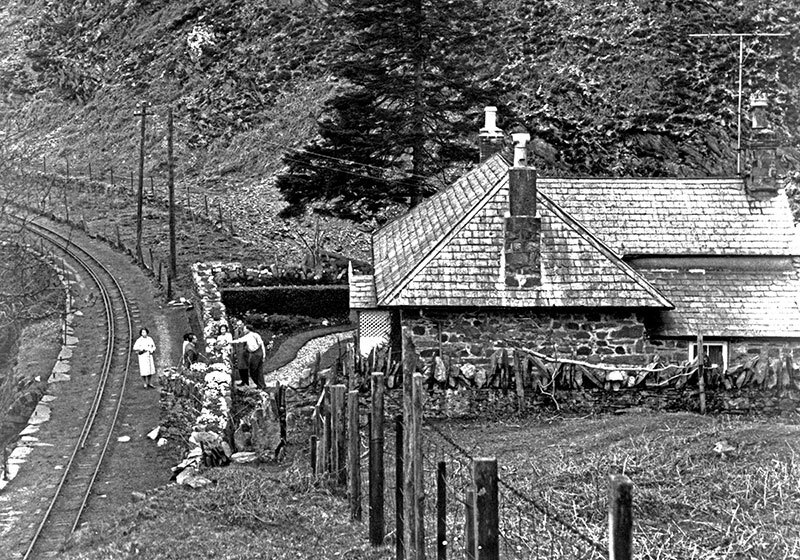 It seemed to all that the delightful Coed y Bleiddiau would disintegrate into a romantic ruin, only to be momentarily glimpsed by travellers passing by on the railway. But in a miraculous twist of fate, help is now at hand in the form of The Landmark Trust. Featured in a series of documentaries on Channel 4, this conservation charity is dedicated to saving Britain’s historic buildings. 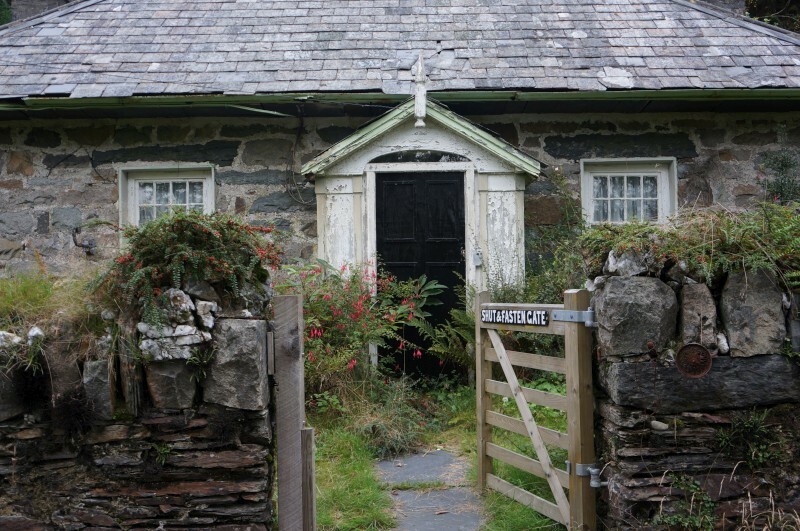 Whilst it’s no stately home, the charm and authenticity of Coed y Bleiddiau has drawn their attention, and The Landmark Trust is launching an appeal to preserve this charming little cottage. And now the stage is set for a restoration adventure. Already the roof has been repaired and the original thick-cut slates have been put back in place allowing the drying process to start. Once complete, the cottage will be available to hire for people in search of their own special adventure; those wanting to turn back the clock and wake to fresh mountain air, with their very own railway station set deep in the woodland above the valley floor. Why not see for yourself whilst Coed y Bleiddiau is restored to its former glory? 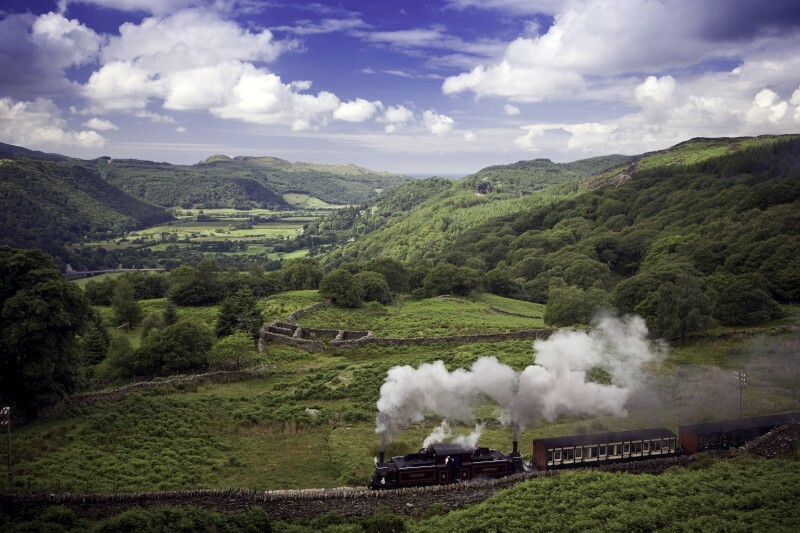 Book your tickets to travel on the Ffestiniog Railway or feel free to get in touch with us to find out more information. My wife and I would like to spend a week or so riding and helping on your railroad. We met one of your engine house workers while we were in Mexico last spring. He sparked our interest. I worked as a freight conductor on the Wisconsin Central RR in Wisconsin. One of the engineers, good friend, visited your rr and loved the time with you. Once completed, this is going to be a fabulous place to stay. A great chance to explore the area, and the railway.